In the light of the global challenges caused by climate change, land use and demographic changes, the sustainable use and the protection of natural resources are top priorities for the sustainable development. Enormous efforts will be necessary to ensure the supply of clean and safe water to the world population. Especially integrated approaches are needed to master the ecological, economic and social dimensions of the water related problems of the 21st century. The concept of the Integrated Water Resources Management (IWRM) has gained wide acceptance as a guiding principle in the water sector. The aim is to promote economic and social development by addressing and balancing diverse interests of water users, while simultaneously safeguarding water resources. To contribute to this aim and to create the conditions for improving the use and application of the innovative potential of German research, the German Federal Ministry of Education and Research (BMBF) has established the new funding priority “Sustainable Water Management – NaWaM” in the framework program “Research for Sustainable Development – FONA”. With the funding activity “Integrated Water Resources Management – From Research to Implementation” the BMBF has supported projects in cooperation with emerging and developing countries since the year 2006. 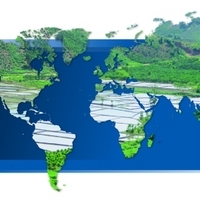 New approaches, methods and technologies for IWRM are developed in suitable model regions around the world. The focus of our conference on IWRM is to present the respective scientific results and world-wide experiences of IWRM implementation in order to discuss lessons learnt. Another main aspect is to exchange innovative perspectives beyond current IWRM practices with national and international experts. This conference serves as a platform for participants from research, industry, politics and administration to discuss joint approaches and promote sus-tainable use of water resources in a changing world. In this spirit, let me wish you productive days and a fruitful exchange of innovative ideas. Wilfried Kraus, Deputy Director General "Sustainability, Climate, Energy"
The conference presentations are available now ! © BMBF 25.06.2012 10:10:29 - All rights reserved.